Thread Details Posted by paulkeith, this thread has received 3 replies and been viewed 943 times. 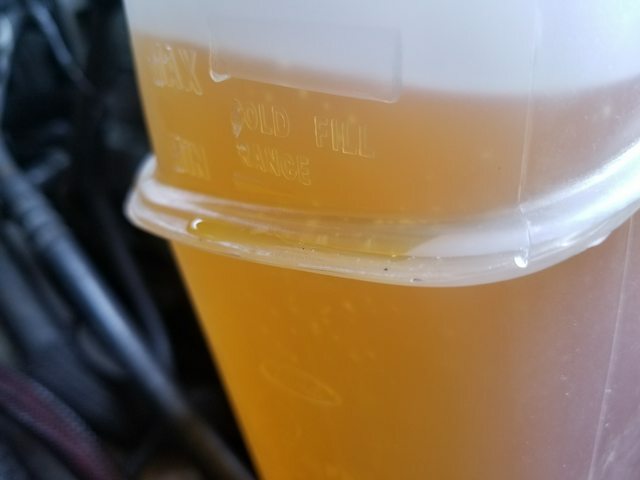 Diesel Truck Forum - TheDieselGarage.com > Ford Diesel & Truck Discussions > 1994-2003 7.3L Power Stroke > Third OEM Ford Coolant Reservoir/Degas Leaking at Seams - Solutions? I am on my third OEM ford coolant reservoir. Some googling reveals a few guys out there have tried 5 or 6 tanks until they found one that sealed. All of my replacements have had visibly poor mold lines and obvious low quality manufacturing. Visible gaps in the seams in multiple places, etc. 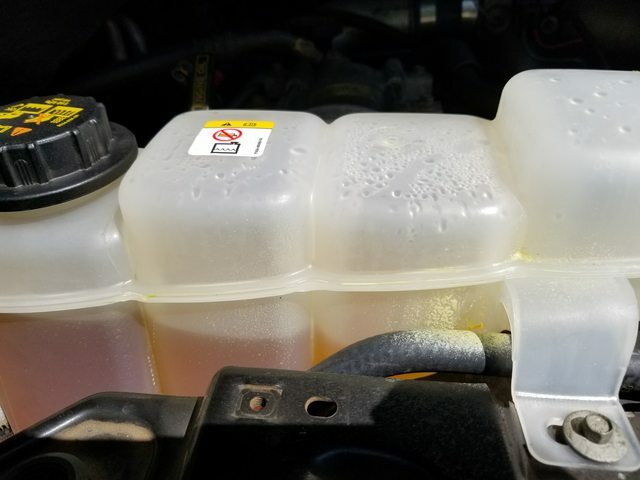 Dealer is playing nice with warranty exchanges, but i dont have time to drain and refill my coolant every 20 miles. Aftermarket tanks are sticker shock at $400+. General motor condition - 211k, runs great, preventive coolant flush/change at 205k to rotella ultra ELC, navistar pump, motorcraft tstat, ford hoses, ford radiator (small pinhole in original), ford tank, motorcraft cap. Runs correct temp, no smoke, steady coolant level (other than what leaks out of the seams). Any ideas, recommendations, solutions? Keep plugging away until i find a good tank, or bite the bullet and go aluminum? It's a shame the old one is gone. I wonder if one from a srap yard would be a better option? 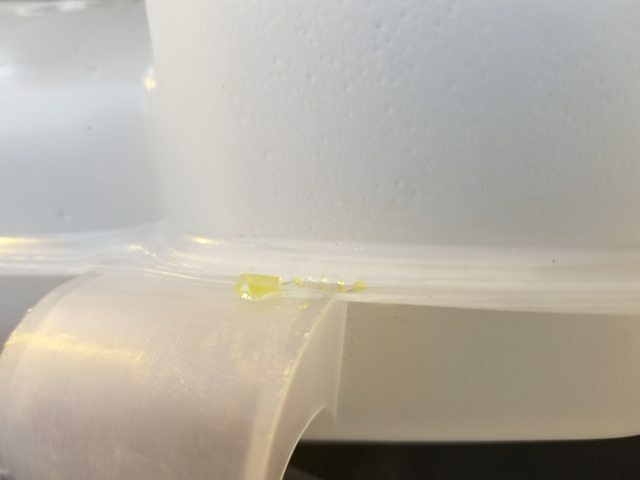 I found a small seeping leak on the seam of my original 2002 F-350 coolant reservoir. I considered replacing but thought I'd try to repair It first. I used Gorilla instant glue gel formula along the problem area of the seam, and went a bit further than necessary just for good measure. It solved my problem. You might want to give it a try. Replaced mine with a Dorman bottle and Motorcraft cap two years ago. Zero issues.